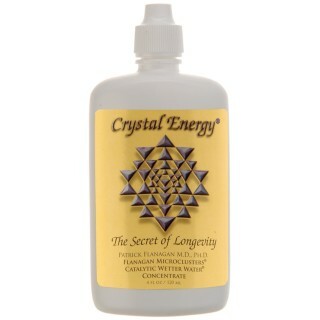 Crystal Energy is the first product Dr. Patrick Flanagan invented after studying Hunza water. It consists of billions of spherical nanoparticles of silica that have the highest zeta potential ever measured. When added to water Crystal Energy instantly turns water into a liquid crystal and more closely matches water surrounding the cells in the body. Dr. Patrick Flanagan's studies have shown that Crystal Energy helps to increase the flow of water and nutrients across cell membranes 2.54 times faster than ordinary water. Crystal Energy may support healthy hydration of cells. Minimum 8 drops per 8 ounces water, up to 40 drops per 32 ounces water. 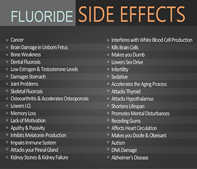 At the latter dosage, there are 94 servings per container (per 32 oz water). Daily use is recommended. Crystal Energy® is a registered trademark of Phi Sciences/Dr. Patrick Flanagan.